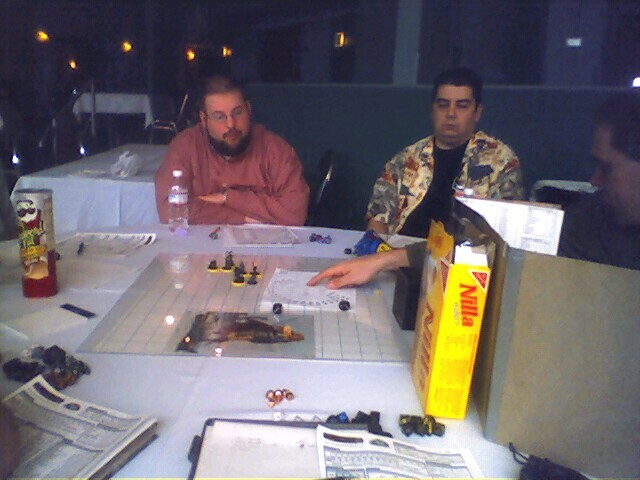 Some people are actually playing DnD at this board gaming thing. I'm glad to see that you're keeping your strength up with nutritious snacks. I always rather liked Cool Ranch Doritoes as a good gaming snack. You didn't actually need any of the papers in your cube did you?